If you’re a cyclist, you’ve likely had this experience. It was crappy out, and I needed to get a ride in, so without my trainer, I decided to hit up a local spin class. It turns out, spin class is ridiculous. So, I wrote about it, and you should read it. #EarnTheView — Or Should You Just Share? 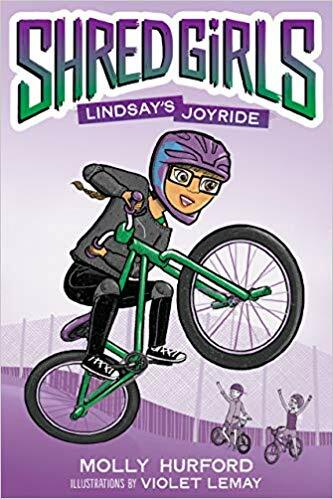 2 Weeks Until “Shred Girls: Lindsay’s Joyride” Hits Shelves! Have You Checked Out The Outdoor Edit Store? Writer | Coach | Endurance Athlete I’m Molly Hurford, a journalist, cycling coach, yoga teacher + the author of the Shred Girls Series, as well as Fuel Your Ride + Saddle, Sore. I co-host The Consummate Athlete Podcast + love riding, running, yoga, comic books, my turtle named Sven, my husband named Peter, and long walks on the beach. Ontario-based, traveling often.